Annually, Read a Road Map Day is observed April 5. The earliest road map, Britania Atlas, was drawn by cartographer John Ogilby in 1675. Fast forward a few centuries, and my how things have changed! With satellites, GPS and voice commands do we really know how we get anywhere anymore? National Read a Road Map Day reminds us to take some time to sharpen those map reading skills. Take notice of your surroundings. Do you know north from east? If not, it’s a good time to learn. Put away the electronic devices and unfold a traditional road map. Familiarize yourself with it and take a little trip. Do you have a knack for using a map? Teach someone else to read a map. 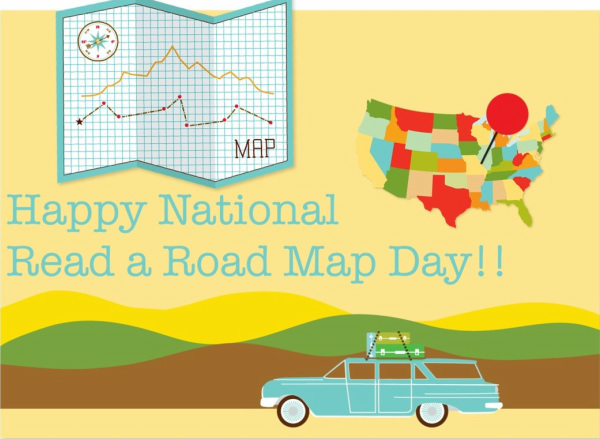 Use #NationalReadARoadMapDay to post on social media. Our research was unable to find the founder of National Read a Road Map Day.